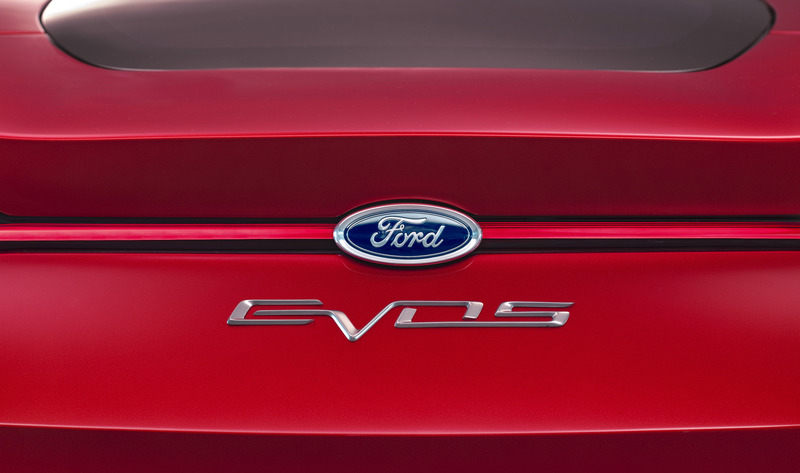 Making its global debut at the 2011 Frankfurt Motor Show in September, the Ford Evos Concept represents the ultimate expression of Ford's new global design language, and explores key future powertrain and vehicle technologies. 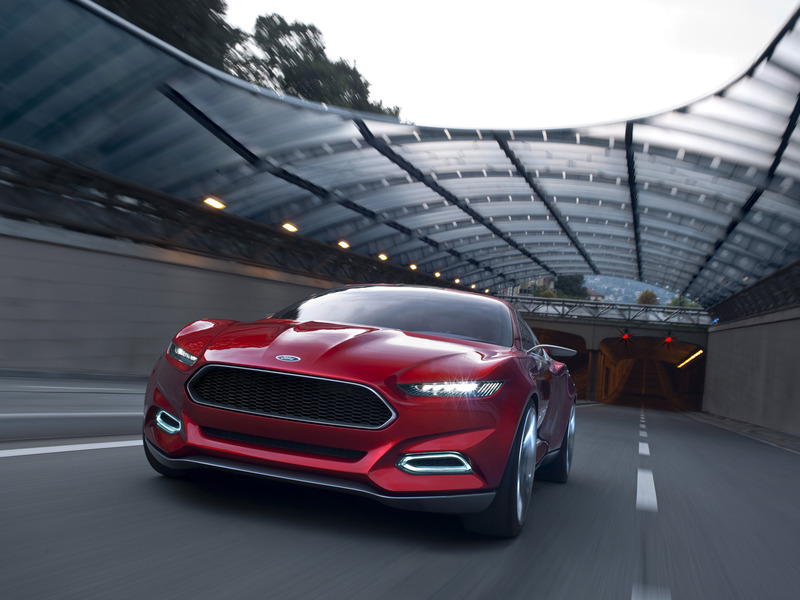 Created as a bespoke concept vehicle, the fastback introduces Ford's first truly global design language as the momentum of the company's One Ford product plan continues to build. 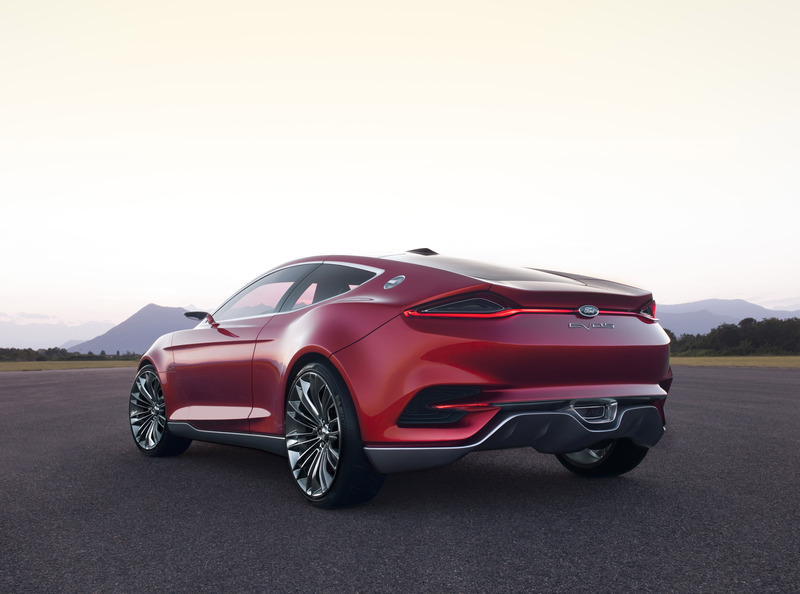 "The Ford Evos Concept unites three key elements which are at the core of our One Ford global product strategy: outstanding design, smart technologies and fuel economy leadership," said Derrick Kuzak, group vice president of Global Product Development. 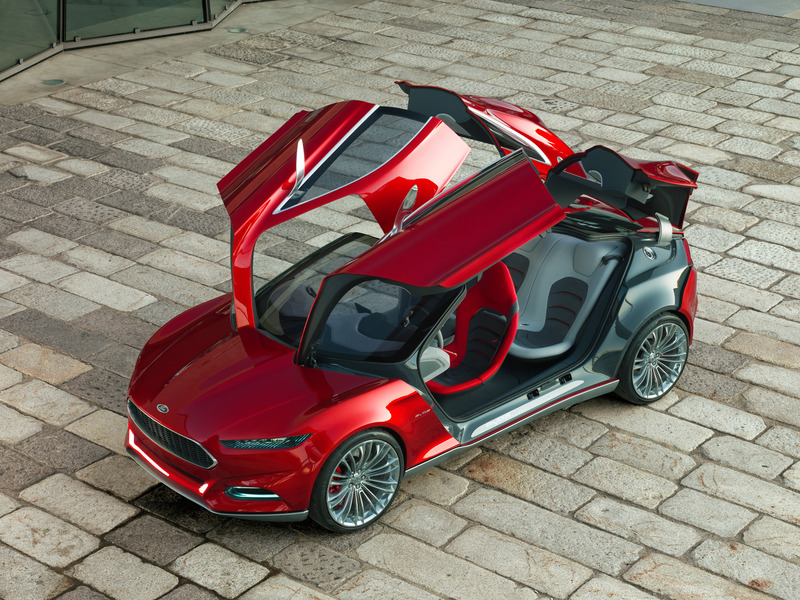 "With its compelling design and innovative technology experience, this is a clear demonstration of the exciting vision we have for the Ford brand. While you will never see this car on the road, the next generation of Ford products around the world will display many of the distinctive design ideas and advanced technologies it showcases." 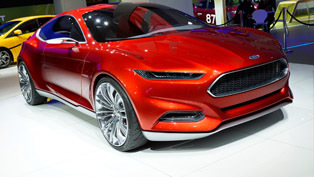 Ford Evos Concept is not just a design-led exercise. 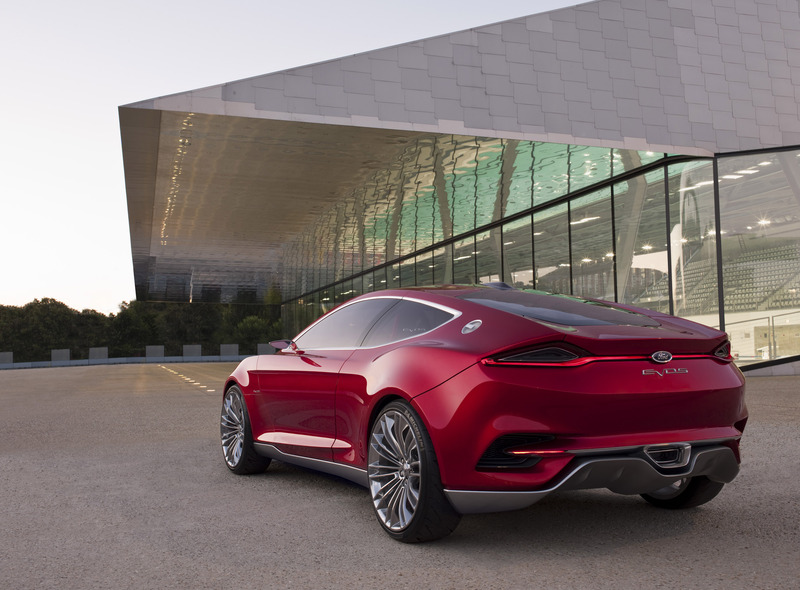 It also embodies the global Ford product development team's move to design and develop vehicles as more than just an interior and exterior, or a collection of attributes. 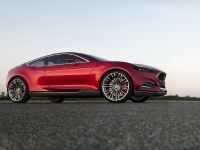 "Our goal is to focus on enriching a customer's every experience with their vehicle – by personalising it, adapting it, and creating unique, unexpected features that surprise and delight them," said Kuzak. 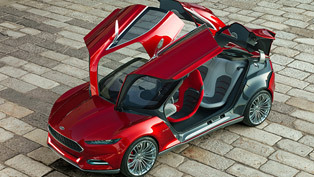 "In the Ford Evos Concept, this objective is explored and extended to the area of connectivity, where the intent is not to convert the vehicle into a smartphone, but rather to provide personalised and safe connection to the outside world in an enriching manner designed totally for the vehicle context." 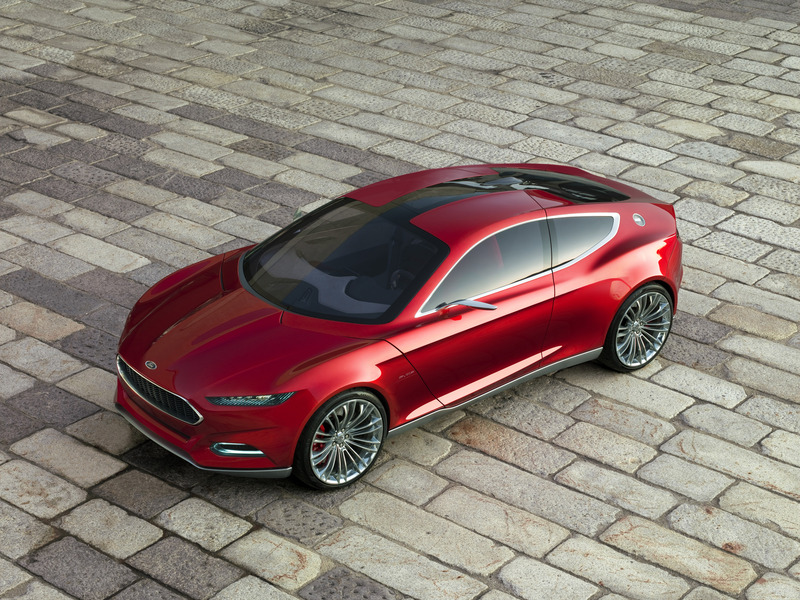 Ford's global Research and Innovation team, led by Paul Mascarenas, was tasked with building Evos Concept around a technology experience as visionary as the design. 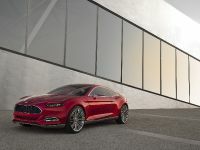 The result signals how Ford intends to build on the momentum of innovations like the SYNC in-car connectivity system. 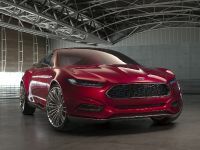 "At Ford, the future of technology in the car will be defined by the experience that it delivers to the driver and passengers," said Paul Mascarenas, chief technical officer and vice president of Ford Research and Innovation. 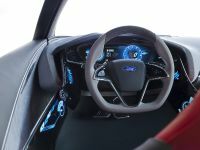 "We see technology as more than just an impressive list of microprocessors, sensors and software; it's about the application of that technology to create an experience that enhances the driver's time behind the wheel." 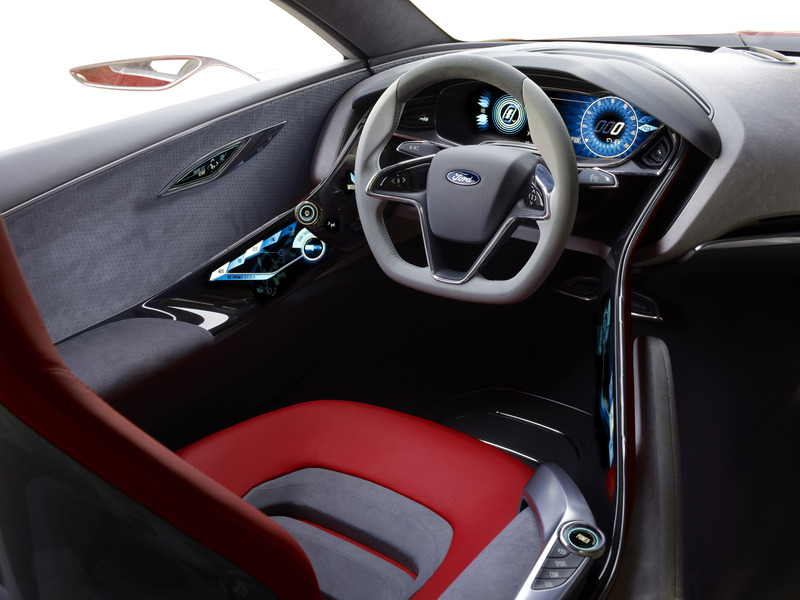 The concept's technology experience embraces a new generation of driver interaction and awareness currently under development in the Ford Research and Innovation laboratories. 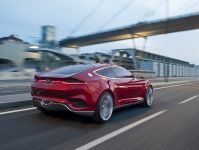 Seamless connectivity between the vehicle and the driver's ‘personal cloud' of information is at the heart of the vision for its capabilities. 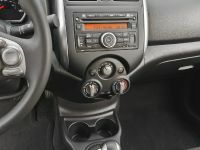 "The possibilities are fascinating when we explore how to enable a seamless lifestyle between home, office and car linked by access to the driver's personal information," Mascarenas said. 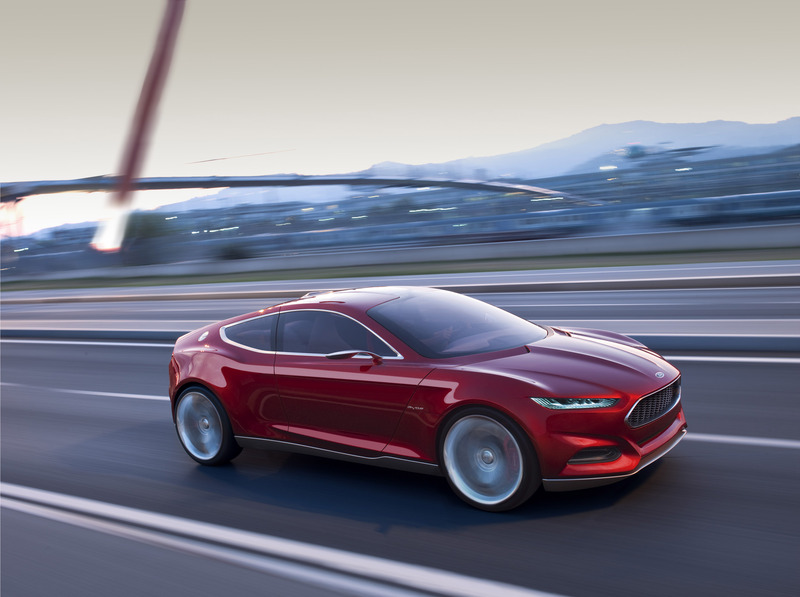 Ford researchers are focusing their efforts in this area to deliver on four key customer benefits: personalisation, seamless enhancement of the driving experience, looking after the driver's well-being and delivering smart electrified powertrain optimisation. 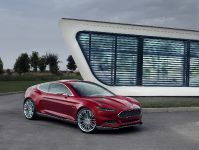 While today's Ford products provide drivers with many personalisation options, cloud connectivity will enable future Ford vehicles to take the experience to the next level. 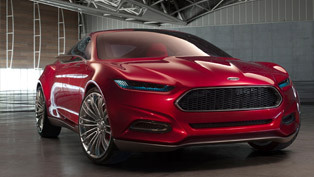 Drawing from a detailed understanding of the driver's preferences and driving habits, the Ford Evos Concept combines this personal information with additional data from the cloud, such as the driver's work schedule and local traffic or weather conditions. 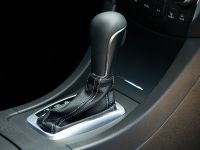 This information provides a personalised and seamless experience as the driver transitions in and out of the car. 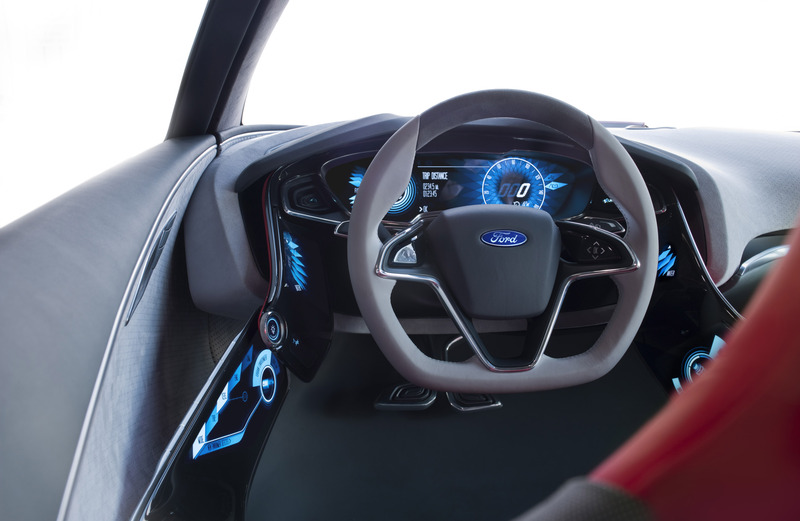 "We're researching how we can use patterns or preferences set by the driver to make life simpler," said Mascarenas. 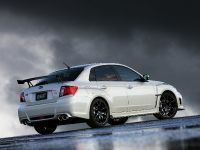 "The car gets to know you and can act as a personal assistant to handle some of the usual routines of a daily commute." 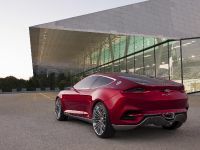 "This cloud-connected vision shows the enormous potential of tailoring the driving experience to suit the exact personal tastes and moods of the driver," said Mascarenas. 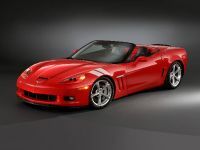 "From recommending a great driving road from friends on your social networks or resetting your alarm clock to let you sleep in when a morning meeting gets cancelled!" 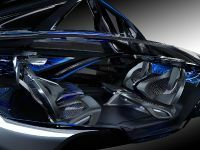 "Our wellness research and technologies are focused on relieving driver stress and enhancing their situational awareness," said Mascarenas. 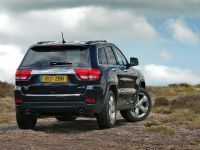 "Drivers around the world are spending more time behind the wheel, and the car should not be another stress point in their lives." 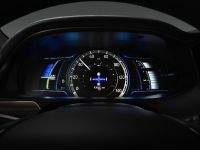 In dynamic driving situations, the vehicle may simplify the appearance of the instrument panel to display only necessary gauge information and switch the driver's connected smartphone to "Do Not Disturb" mode to help keep the focus of attention on the road. 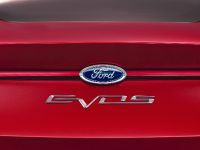 Completing the vision for the Ford Evos Concept is a state-of-the-art lithium-ion plug-in hybrid (PHEV)powertrain providing the same next-generation performance and fuel economy as the Ford C-MAX Energi scheduled for introduction in North America in 2012 and Europe in 2013. 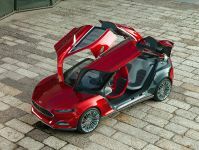 Ford ‘powersplit' hybrid architecture allows the electric motor and petrol engine to work together or separately to maximise efficiency. 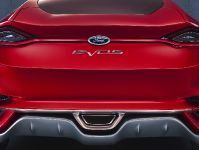 The advanced powertrain typically runs in all-electric mode before switching to charge-sustaining hybrid mode for continued optimal fuel efficiency. 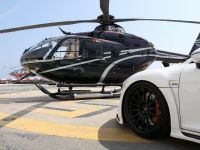 "Access to historical driver behaviour and travel patterns allows us to calculate the optimal fuel and energy efficiency by predicting the destination," said Mascarenas. 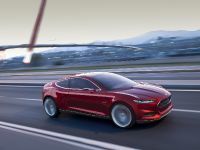 "Our researchers are working to increase understanding of driver behaviour, develop accurate protocols to predict it and enhance the trip by providing the smartest use of fuel or battery for the situation." 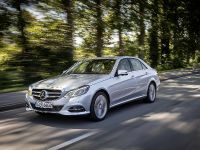 The cloud-optimised powertrain would automatically ‘know' when to save energy and switch modes, using information about the vehicle's predicted travel route, any emission zone restrictions during the journey and current weather conditions. 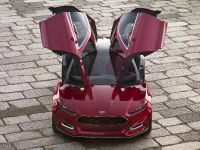 This capability would further enhance the performance of Ford's advanced PHEV technology, which offers an overall driving range of more than 500 miles (800 kilometres) using the battery and engine – more than any other plug-in or extended-range electric vehicle. 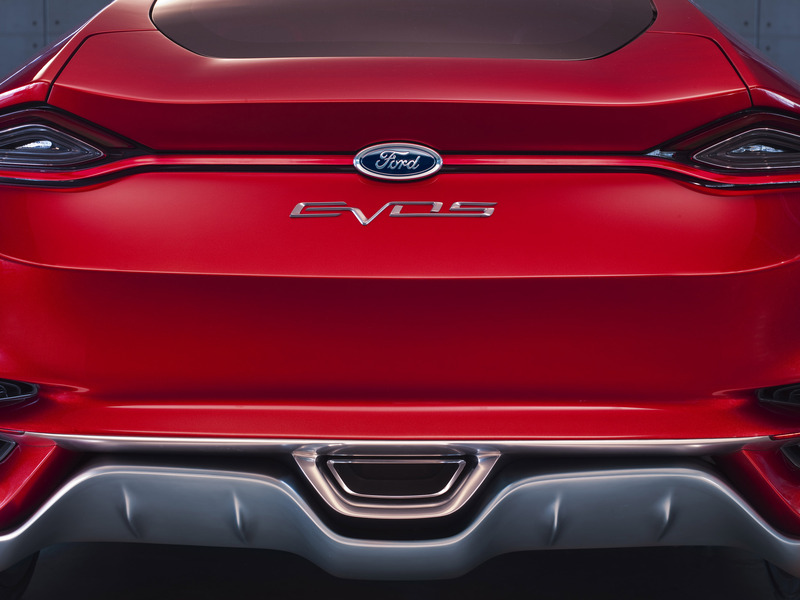 "With its leading-edge ‘cloud-optimised' PHEV powertrain offering outstanding efficiency and range with supreme driving enjoyment, the Ford Evos Concept highlights our vision for greener, smarter vehicles with outstanding customer appeal," said Kuzak. 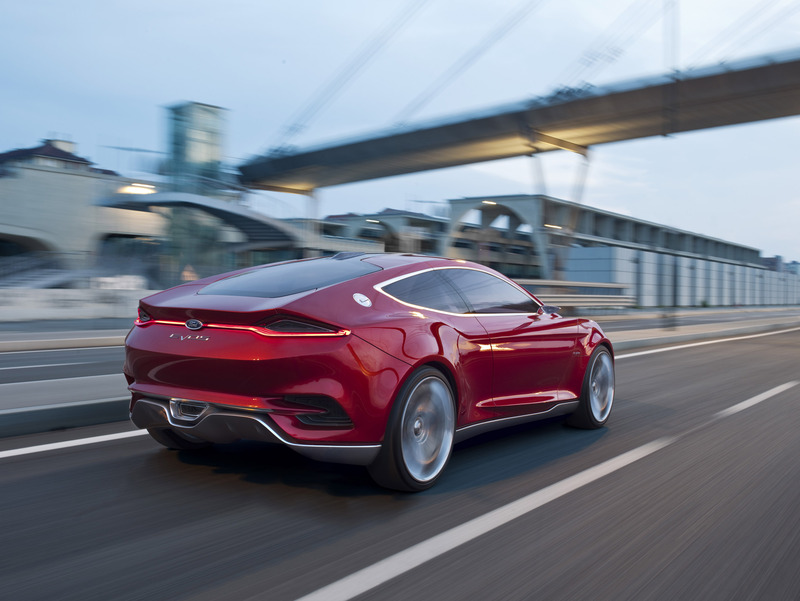 The new global design DNA provides the company's worldwide design teams with a common framework to guide the creation of new products, enabling them to shape a coherent family of distinctive vehicles sharing the same fundamental design character. 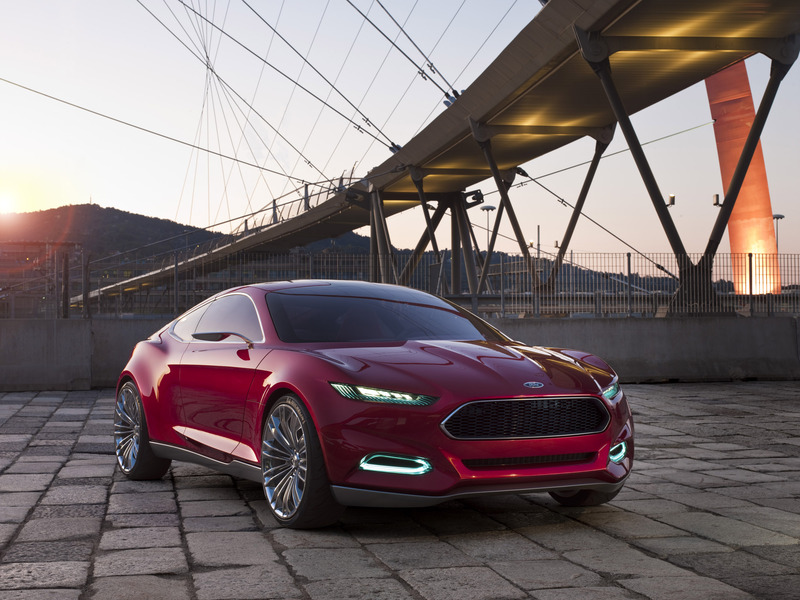 "We wanted the Ford Evos Concept to give a clear message about where Ford design is heading – shaping vehicles that are fun to drive, have a strong premium visual appeal, and above all, are stunningly beautiful," said J Mays, group vice president, Design and chief creative officer. "Our exciting new design DNA has been developed and refined by an intensive effort by all of our talented global design team," said Mays. 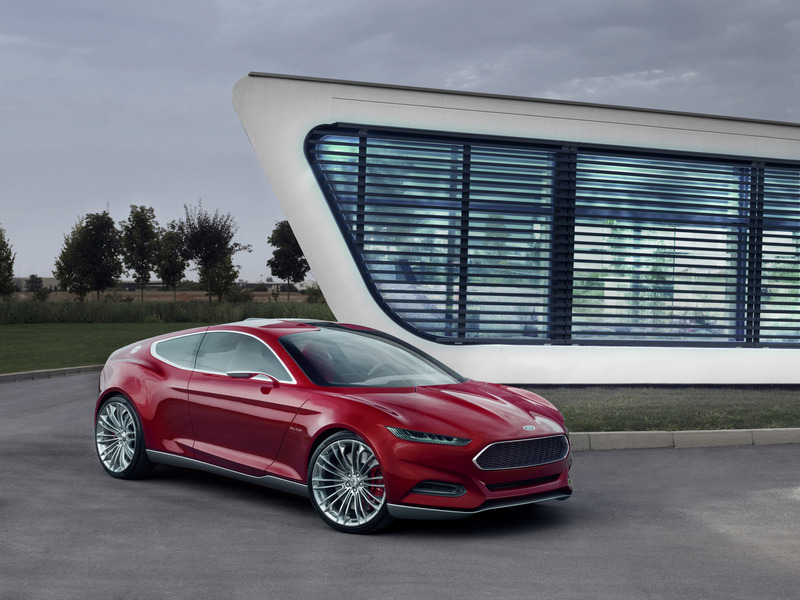 "As a team, we wanted to create a more technical design vocabulary to help communicate the smart technology that is now core to the Ford brand. 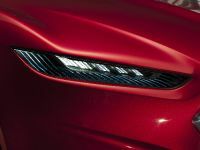 In addition, we worked particularly hard on meeting the high-expectations of a new generation of buyers – a group of consumers who have grown up surrounded by beautiful, premium design work on even the most affordable products." 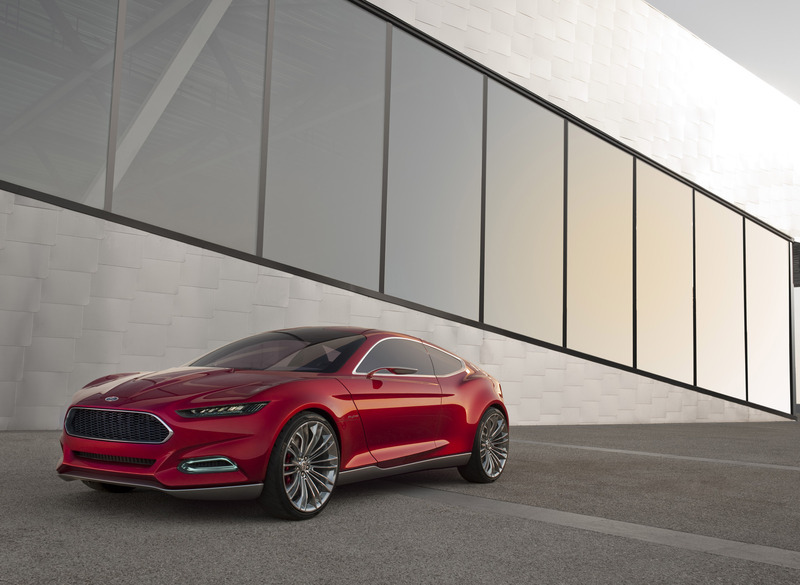 To provide a fitting vehicle to introduce the new design language, the Ford Evos Concept was conceived as a dramatic fastback concept, combining a striking new profile with innovative proportions. 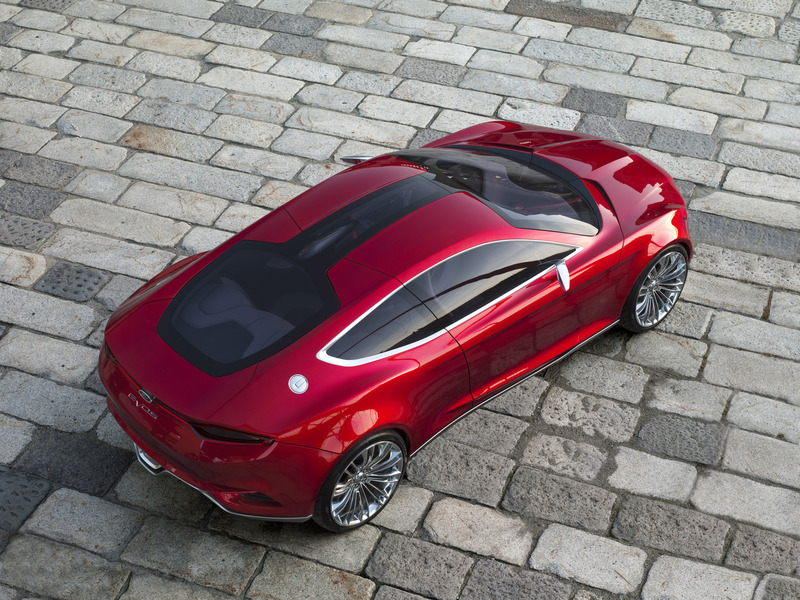 Attention-grabbing lines conceal a unique new format, with a four-door, four-seat layout which combines dynamic appearance with surprising practicality. 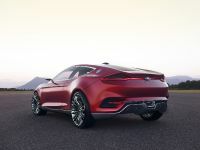 "This is an exciting new interpretation of the fastback bodystyle, with a really innovative silhouette as well as dramatic and very modern proportions," Mays said. 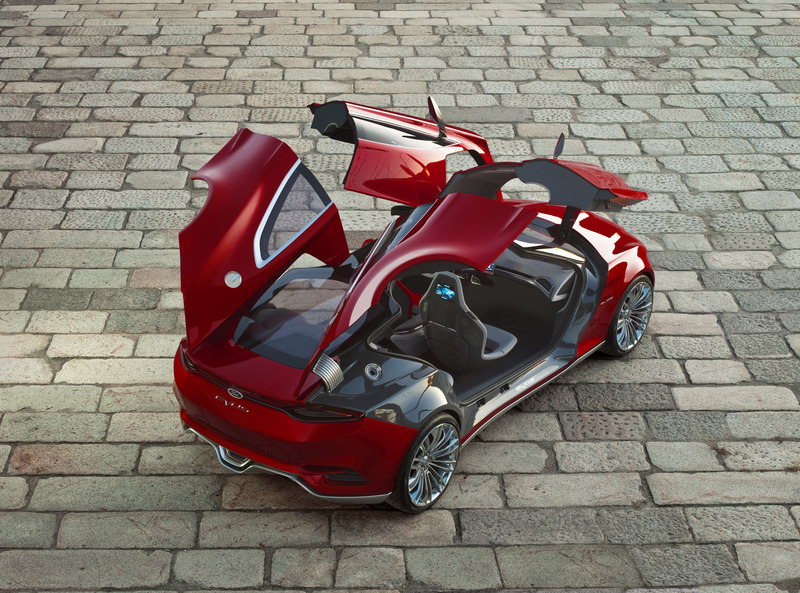 The concept's spectacular hinged gullwing-style doors, both front and rear, provide outstanding access to the spacious four-seat cabin. 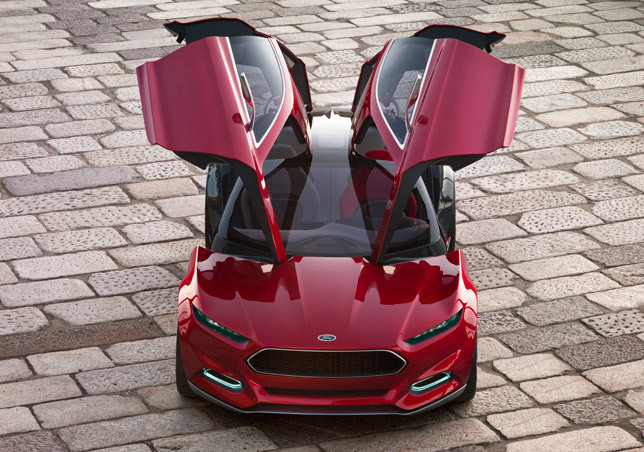 Shaped as the ultimate expression of the new design DNA, the Ford Evos Concept highlights key elements of Ford's distinctive new global design language. "The new design DNA marks a bold evolution of the kinetic design language featured on existing global Ford products and is characterised by a number of important elements that will contribute to an unmistakable future Ford look," said Mays. 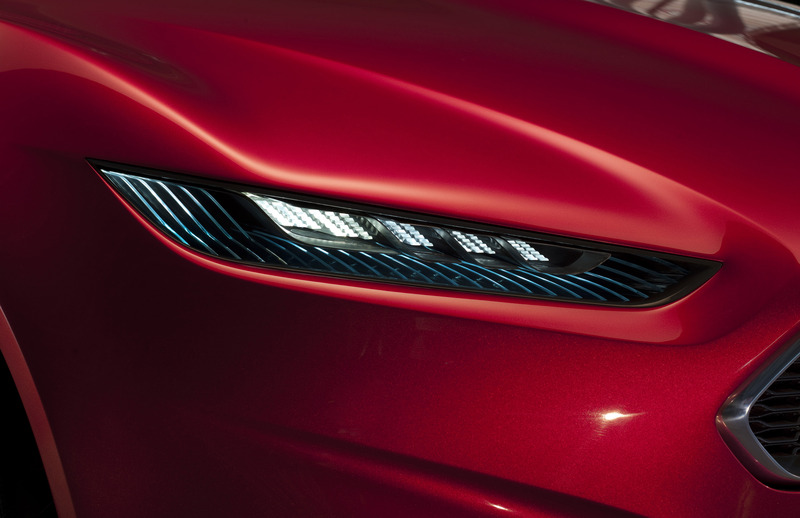 Bold, technical shapes, such as the extremely slim ‘laser cut' front lamps or the dramatic graphic created by the front and rear screens connected by the thin glazed section of the roof, add a distinctive character to the design. 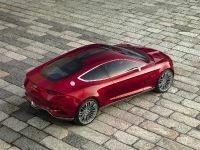 Sculptured flanks highlight attention to detail on the surfacing, which lends a refined quality and a tauter, more muscular character. 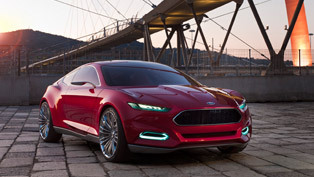 "The Ford Evos Concept embodies the core elements of the new global design language, while capturing the dynamic, fun-to-drive spirit which is central to the Ford DNA," said executive design director Martin Smith. 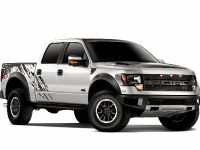 "Most notable is the brand new ‘face of Ford', with its higher mounted trapezoidal grille, and the design is characterised by the use of very bold, technical graphics. We have also created much more refined and precise surfacing, and these elements together give a strong visual sense of premium quality. The concept features a bold red driver's seat and the vision of unprecedented driver interaction via an advanced driver interface. 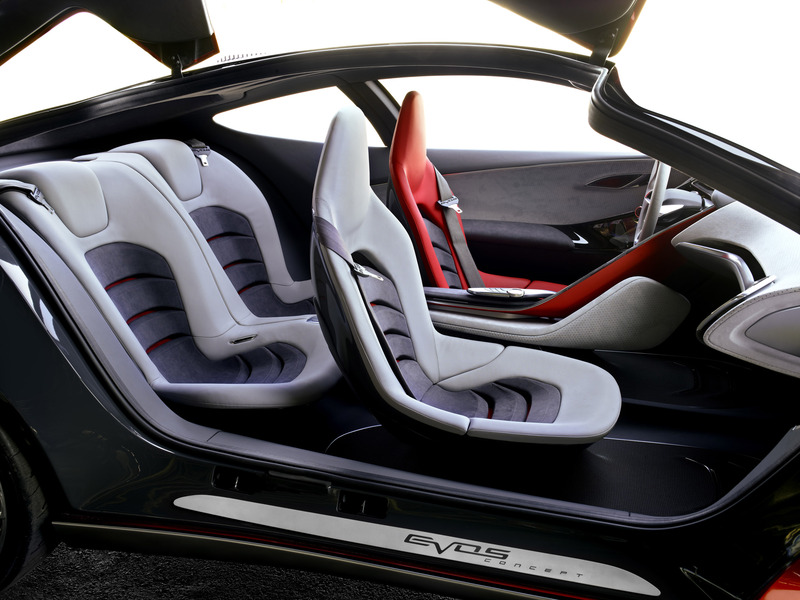 The two rear seat passengers get an equally special experience, with dedicated touch-screen displays to interact with the vehicle and individually adjustable sports seats. 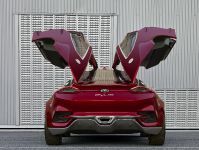 "Both the exterior and interior of the Ford Evos Concept clearly communicate that this is a driver's car, so that as soon as people see the vehicle, they will immediately want to get in and drive," said executive design director Moray Callum.